The link below will take you to an article showing 23 “mind-blowing facts that will destroy your understanding of time”. The author requests shares, so I’m doing just that. Two of the facts relate to ancient Egypt and help to demonstrate just what an incredibly long passage of time the Egyptian civilisation can claim. First, Cleopatra lived closer in time to the building of Pizza Hut than the building of the Great Pyramid of Giza. 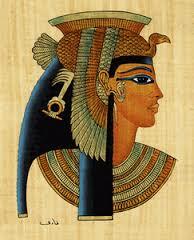 Cleopatra ruled as the last Pharaoh at around 30BC, before Egypt fell to the Roman Empire. The Great Pyramid was already approximately 2,500 years old, having been built for the pharaoh Khufu in the Old Kingdom of dynastic Egypt in circa 2560 BC. 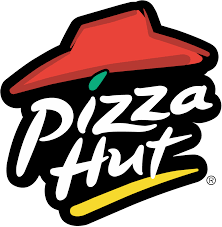 The first Pizza Hut opened in 1958, approximately 500 years closer in time to Cleopatra than Khufu’s pyramid. I can’t help but wonder if Cleopatra’s knowledge and understanding of the reign of her Old Kingdom predecessor was much as ours is of her: coloured by myth and legend, and the passage of thousands of years. Broadly contemporary with Cleopatra was the first century Romano-Jewish scholar and writer Josephus. As far as we know his work contains the only reference to the earlier Egyptian historian and priest, Manetho, who wrote his fabled Aegyptiaca some 300 years before Cleopatra ascended to the throne. It gave a history and chronology of the pharaohs. Whether it shed any more light on the historical facts of the dynasties that pre-dated Cleopatra’s Ptolomaic ancestry than Shakespeare did on Cleopatra’s own story is a matter for debate. 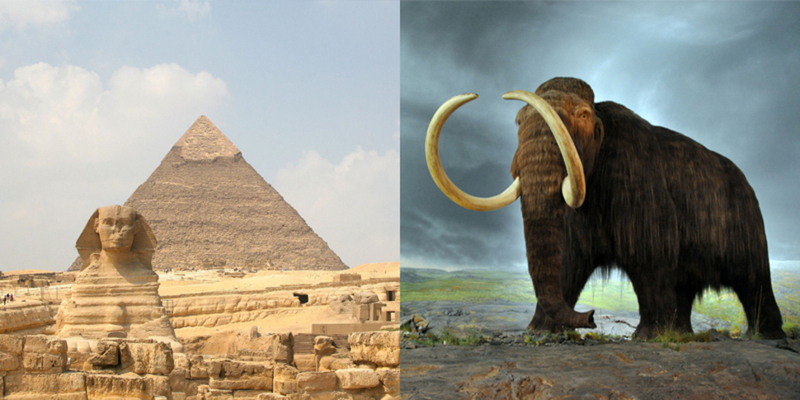 The other fascinating fact is that the first pyramids were built while the woolly mammoth still roamed the earth. A small population of mammoths survived until circa 1650 BC, by which time Egypt’s empire was well established, and the pyramids were already about a thousand years old. I’s bind-bending stuff : how the Egyptian civilisation spans what we might consider almost prehistory, right up to the Roman Empire whose influence can still be felt in Britain today. Perhaps this explains why ancient Egypt is such a rich source of inspiration for writers of fiction such as myself. With a history spanning something like three thousand years, with so many famous names, and with so much gold, how can we help but be fascinated by its mystery and romance? And with the inevitable gaps in our historical knowledge after such an immense passage of time, how tempting it is to try to fill in the blanks. That’s what my fictional series following Meredith Pink’s Adventures in Egypt aims to do. In each story, I take an ancient mystery and weave a story around it, letting my imagination put the flesh on the bones of what we know from archaeology and historical research. Fiona Deal – author of Meredith Pink’s Adventures in Egypt, available in paperback or to download from Amazon and all major ebook retailers. Posted on February 19, 2015 by Fiona Deal. This entry was posted in ancient Egypt, archaeology, Egypt, egyptian fiction, fiction, History, holiday, Travel, Uncategorized and tagged Cleopatra, Great Pyramid of Giza, Josephus, Manetho, Meredith Pink, pyramid, Roman Empire, Shakespeare, woolly mammoth. Bookmark the permalink.